We loved Barbados so much, we went back! 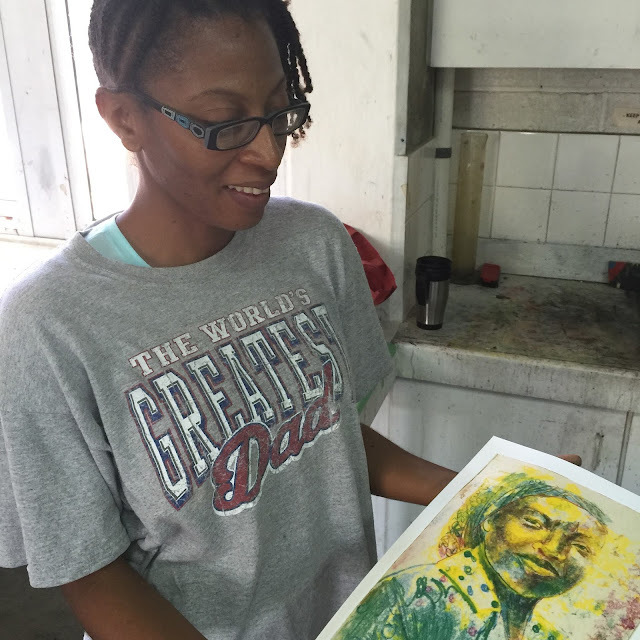 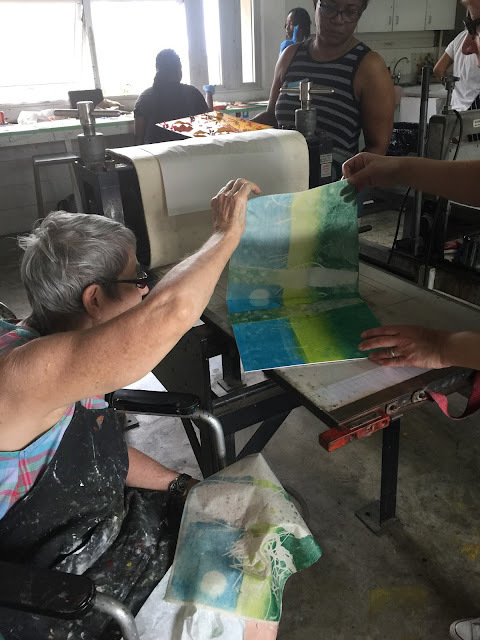 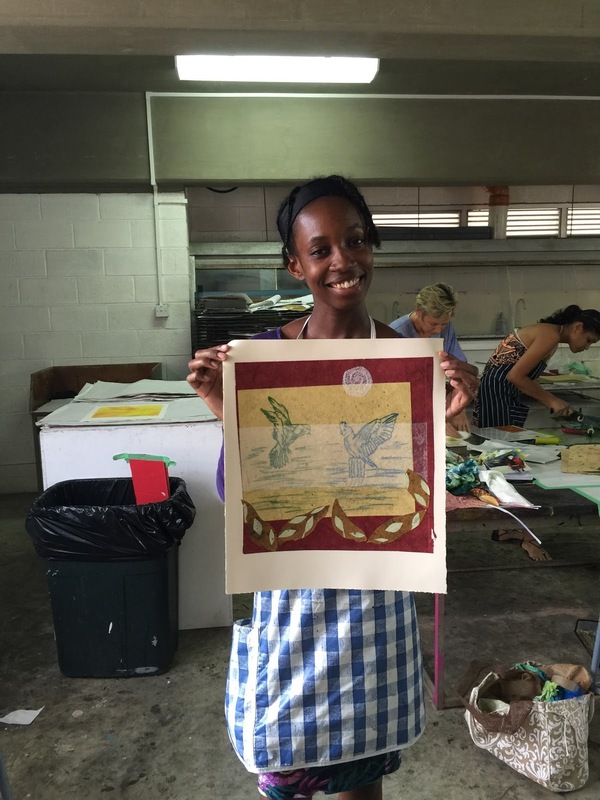 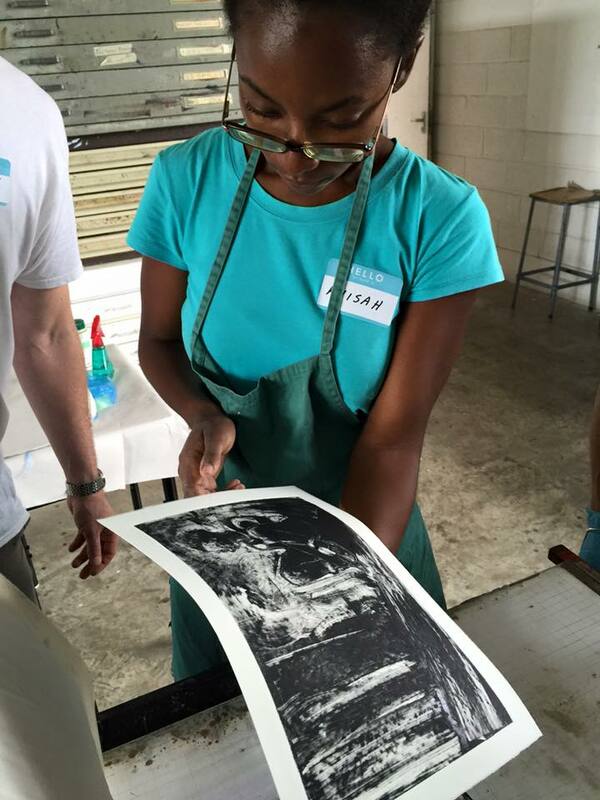 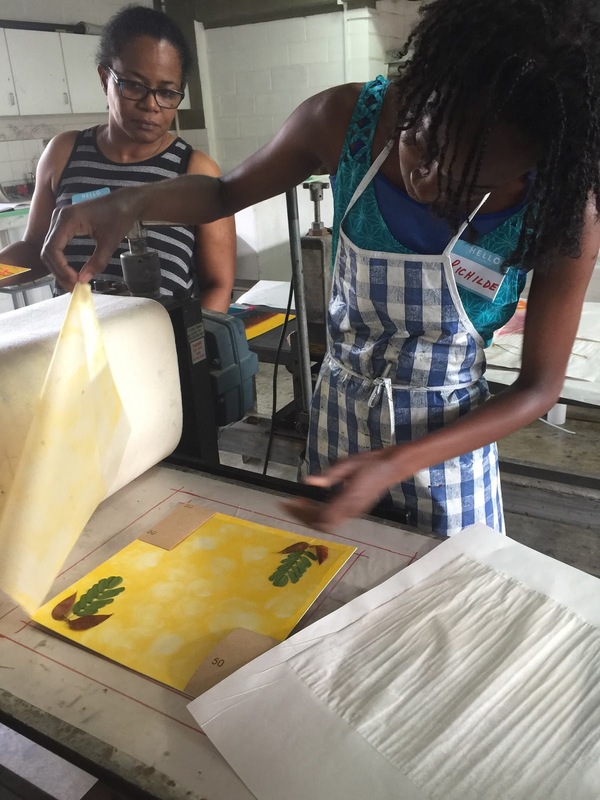 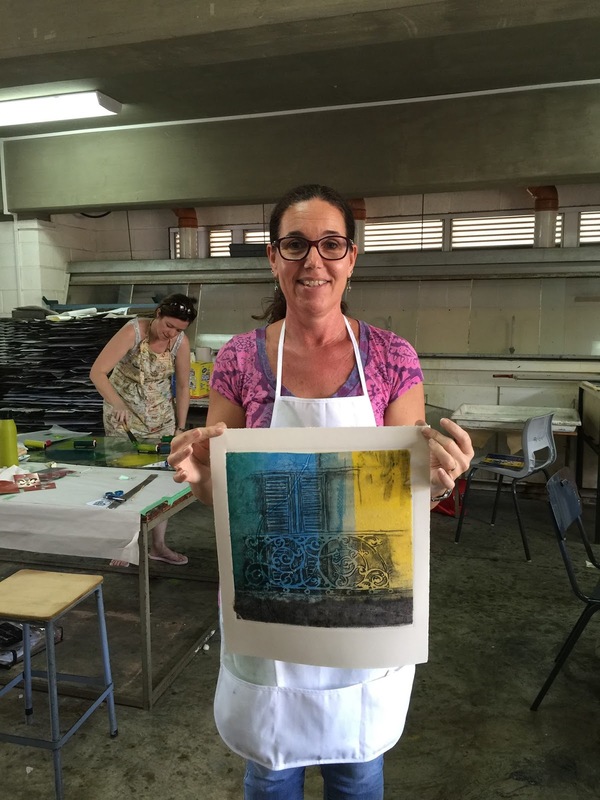 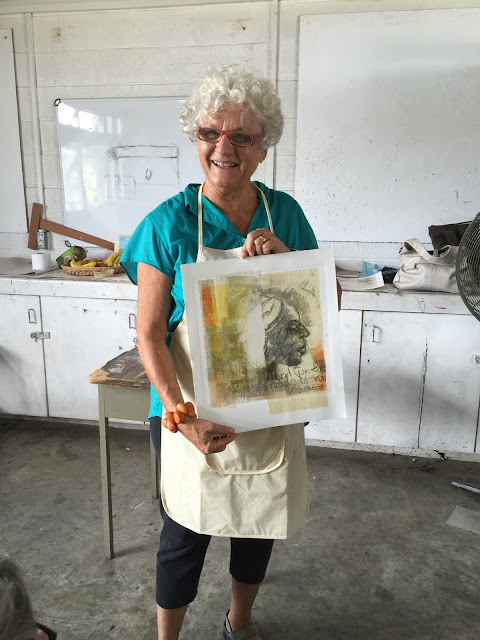 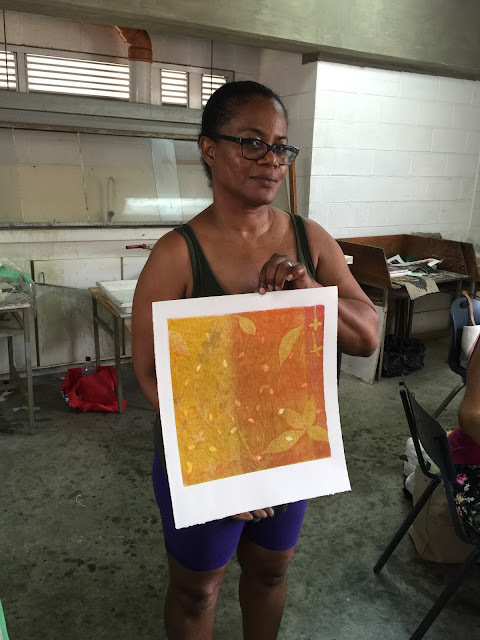 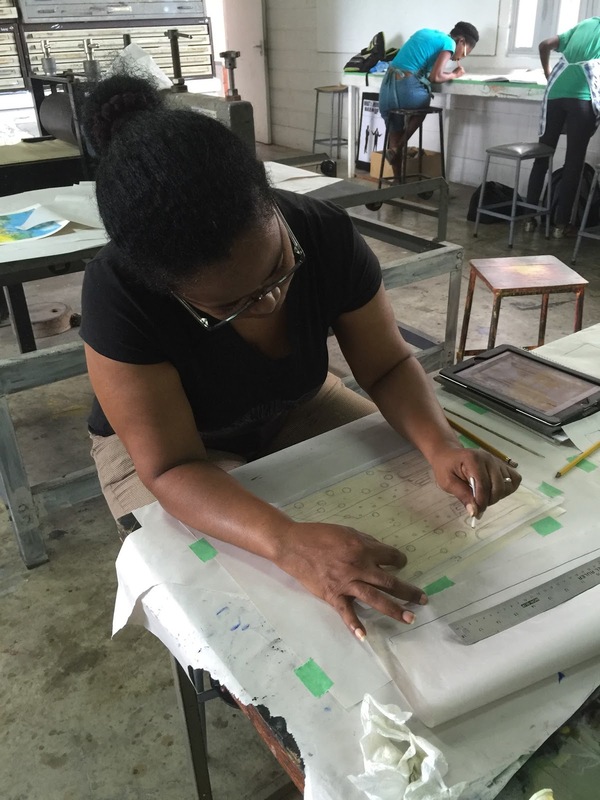 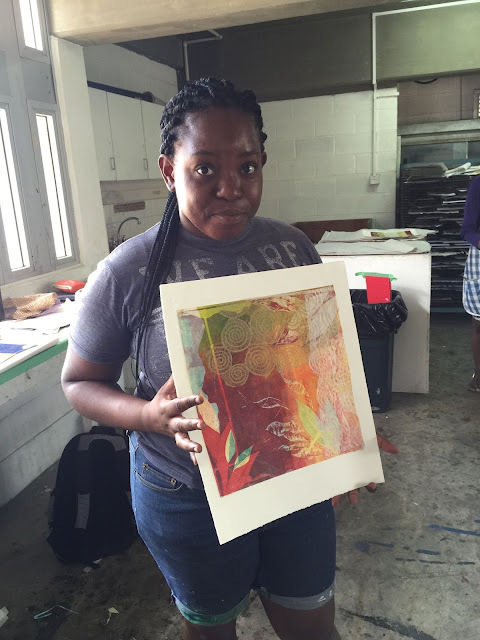 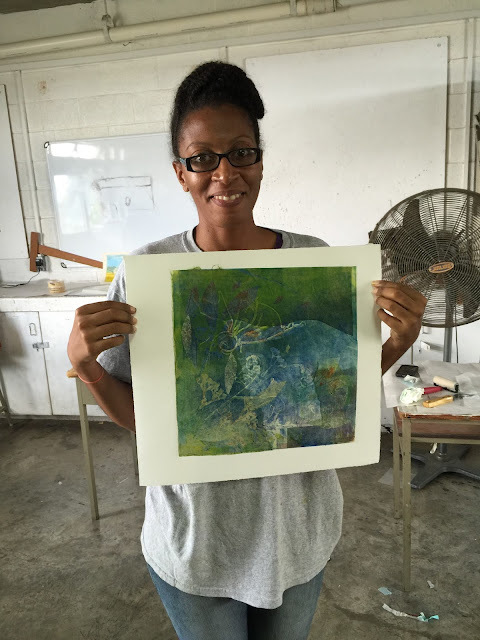 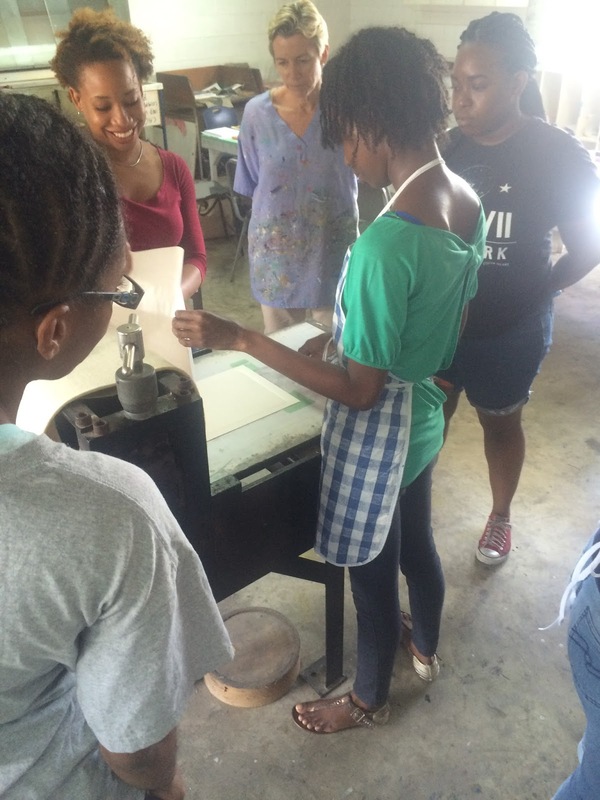 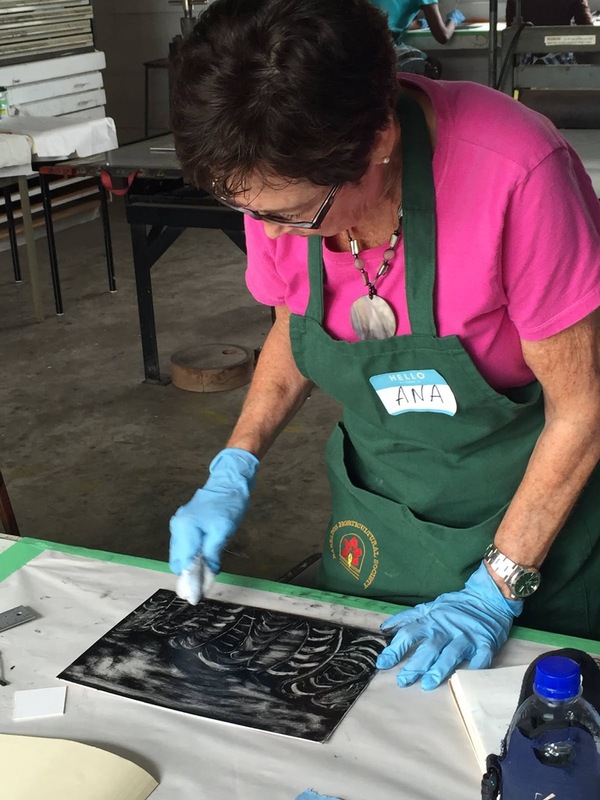 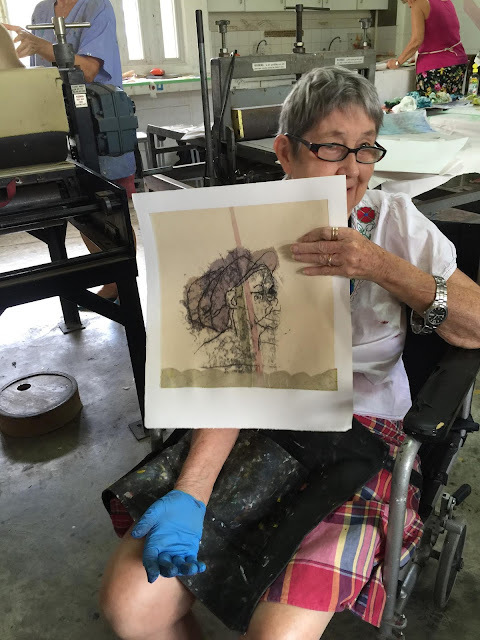 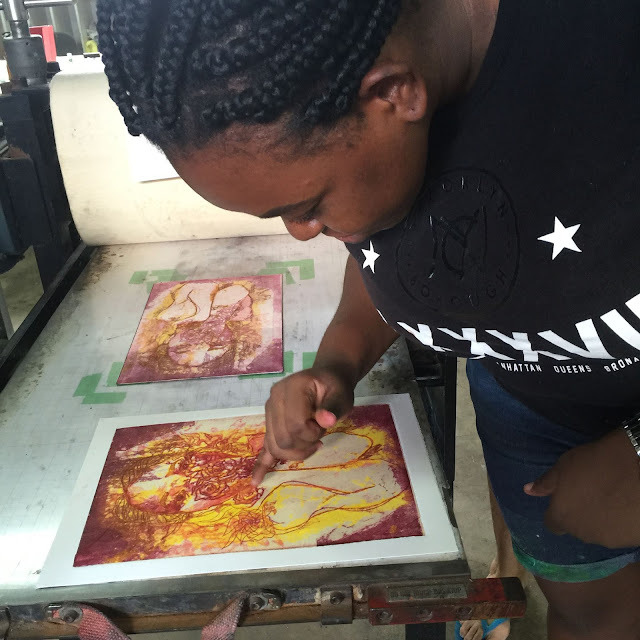 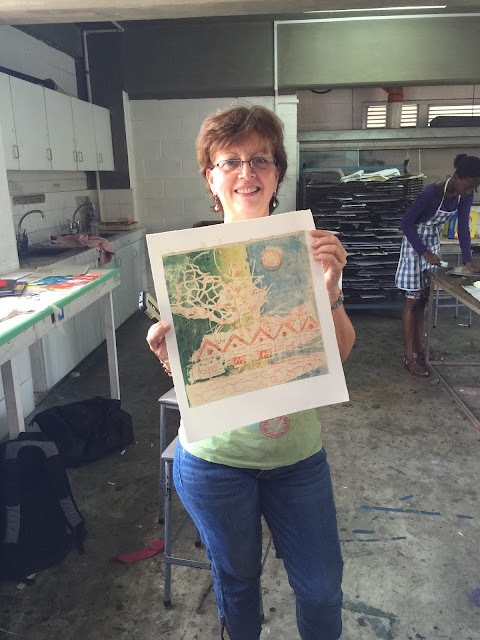 This time with some days set aside to do some printmaking with students at the Barbados Community College and artists from the community. 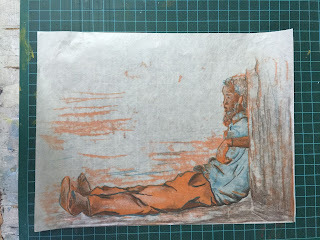 to make sure that everything would work out for all involved. 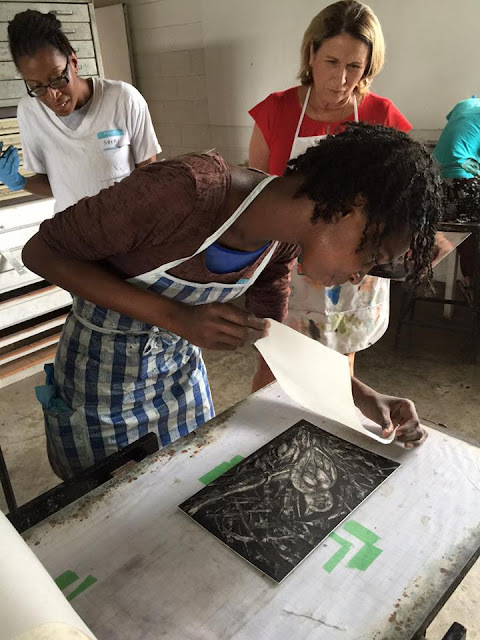 We were a big group and excitingly diverse in art practices. 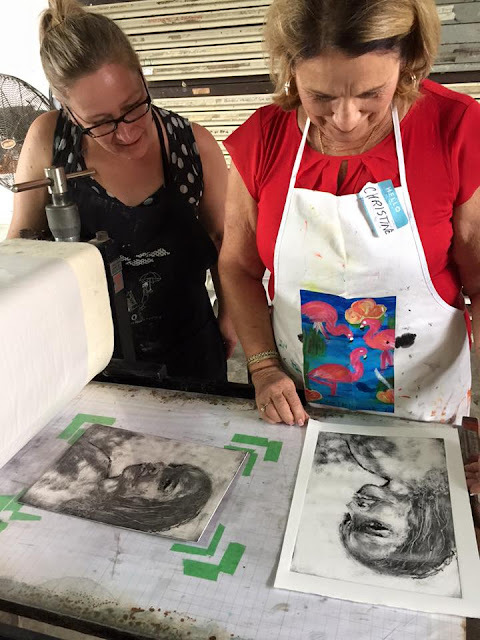 I convinced them that monotype would be fast and fun and help to open up any areas in your creative life that were maybe a bit stuck. 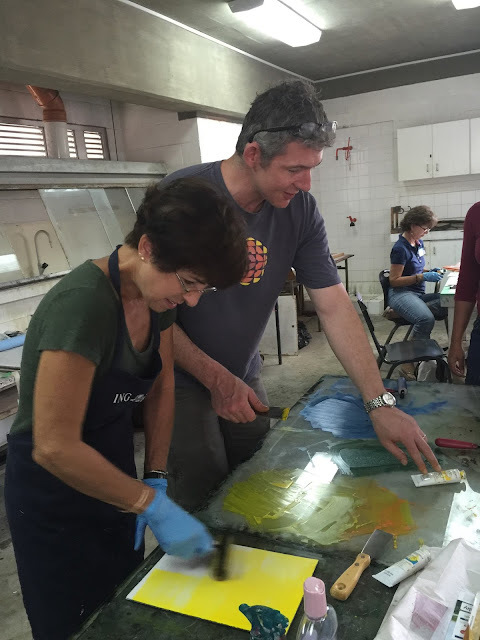 It did not take us very long to get going and the response for anyone hesitating too long was, ' just dive in'. 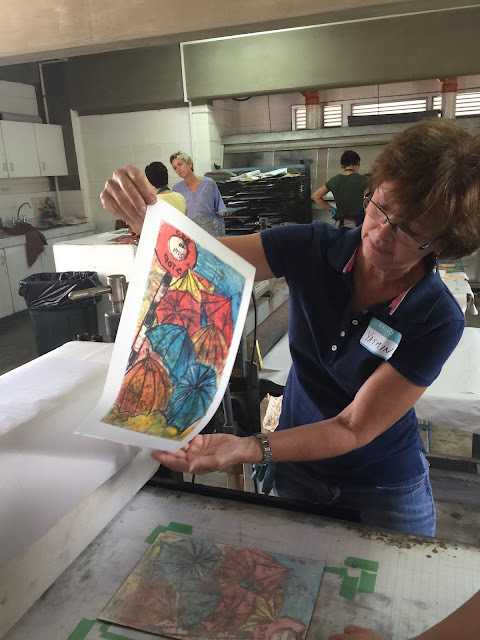 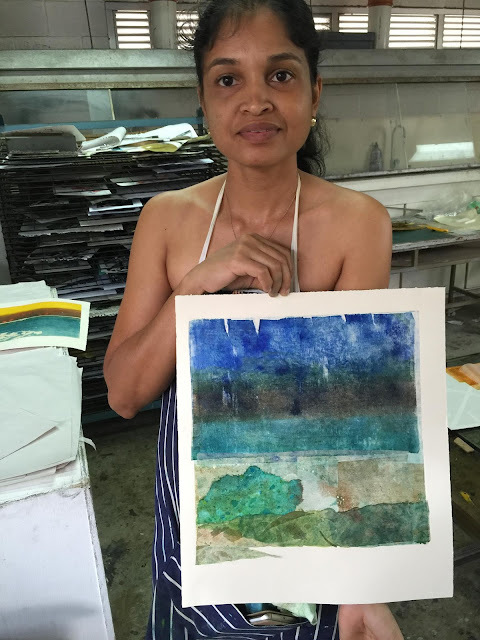 We completed 160 monotypes (most with chine collé) in four days. The whole experience for me was breathtaking. 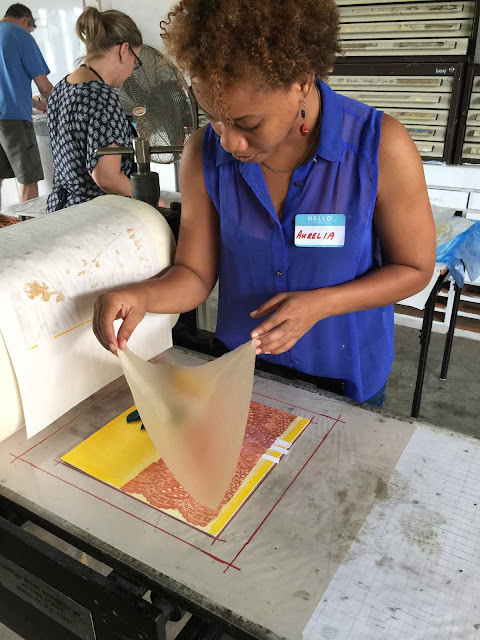 I think it revitalized so many good feelings I have about printmaking, through the sharing- and with such a diverse group, we covered so much! 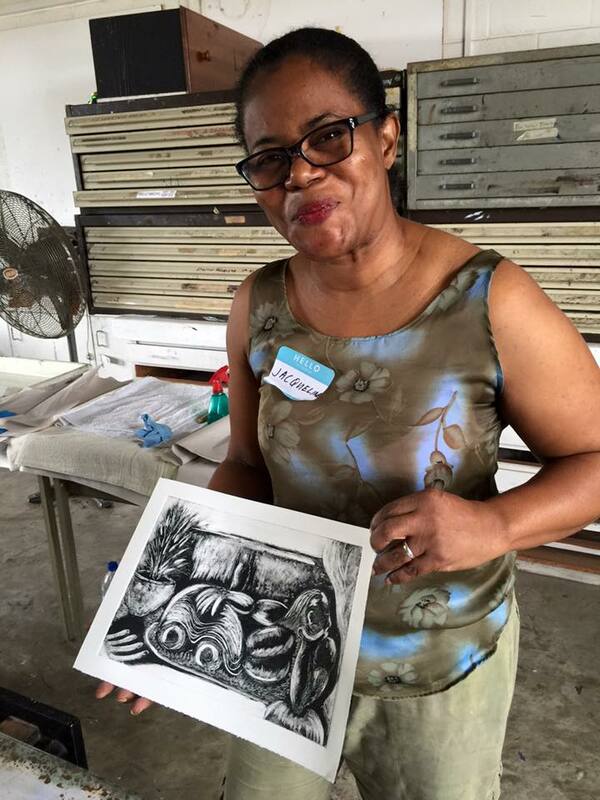 everything was just right for us when we arrived and Aurelia for hanging out and making sure everything was just right every day! 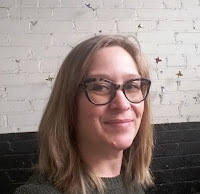 Last but not least, our most wonderful super assistant (and my husband), Chris. 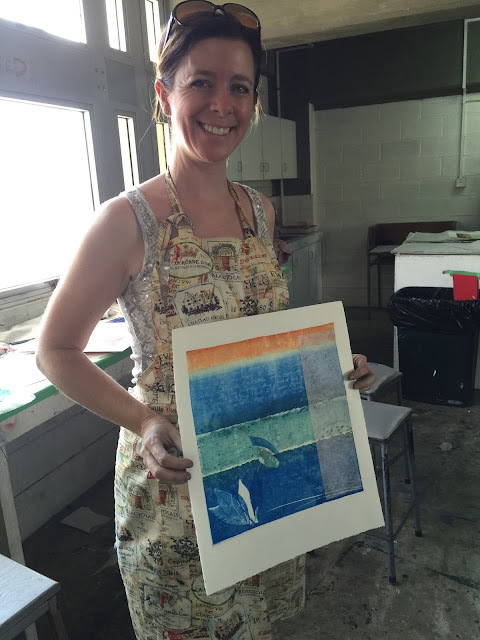 These are some of the photos Heidi and Chris took of the process, prints made and of course lots of happy artists.